with friends in an hour. Very clever the way you have combined 3 memes into this colorful post! I'm quite familiar with Mimi's in Long Beach too. I wonder if we've ever been there at the same time? Wouldn't that be a hoot! Great shots, I love windows and door! BTW My mom is crazy about giraffes, too and I was in Taos only the day before yesterday. What a lovely little place there! Nice collages contains everything and is very colorful ! Very Nice!!! 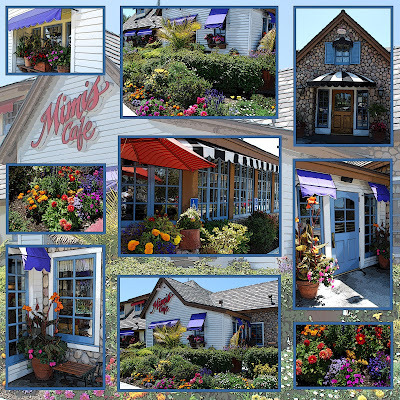 We have a Mimi's Cafe but have never been.... Have a great weekend! These are gorgeous! What a collection of super shots. I'm impressed that you were able to capture so many images perfect for those three memes! How creative! Great collages, but I do like the first one best. This is certainly a place I would chose to visit.